I think today is the most exciting time in history to be alive, at least for those of us in the Western world. Never before have individuals had more opportunity and more resources at their disposal. However, in many ways, this makes business more challenging. As a business coach, I’m here to help you grow through those challenges to achieve exceptional results! Because of the explosion of information, our customers are changing – most of them are much smarter and much more prepared to make purchasing decisions. They want to know that WE are smarter – smarter about our products, their options, their needs and desires, and the kind of experience they want when they do business with us. They expect us to be more like “personal consultants” and less like sales people or order-takers. We see change everywhere. The political world is changing, the economic realities are changing, the global landscape is changing, demographics are changing all around us, religion is changing, education is changing. The marketplace is changing, so small business must change! But how do we change? Be a learner. Read blogs and read books. Feed your mind with new information related to your industry, your skills, your organization, personal productivity, leadership, and business in general. Like Hoffer said, if you’re not a learner you will probably find yourself equipped to live and do business in a world that no longer exists! Be reflective. I encourage owners of small businesses to take a strategic retreat every 90 days to slow down, think about where they are, and map out a fresh, more informed plan of action for the upcoming 90 days. You MUST take strategic time to reflect, evaluate, and plan. Otherwise, the world and your competitors will very quickly pass you by! Be accountable. Engage a coach or a peer accountability group (or both) so that you open yourself up to other learners and leaders who can speak into your life. Meet with the same coach or group regularly for accountability. If you make yourself accountable for learning, growth, and change, it is much more likely to happen – and happen in a powerfully productive way! There is a world of opportunity (like never before) for the learners! As a business coach serving owners of small businesses in Sugar Land and the Houston area of Southeast Texas, it is my privilege to encourage and help entrepreneurs take their businesses and their success to new levels. 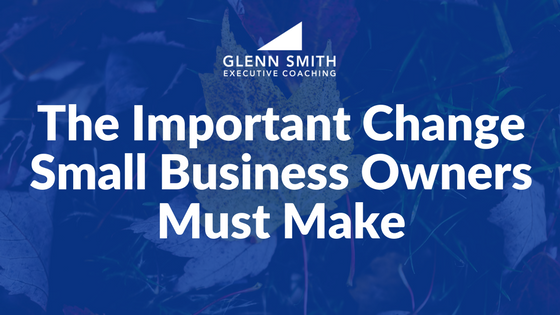 If you are the owner of a small business, be intentional about your learning and growth. Otherwise, nothing much will change – at least not for the better! For more help, download our FREE Ebook “7 Steps to Take Your Business to the Next Level.” It’s a great place to start today! 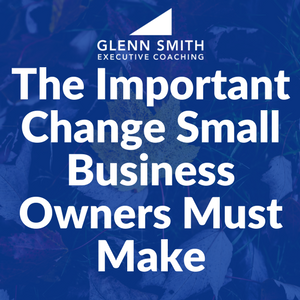 For personal motivation we encourage owners of small businesses to learn, grow, and make strategic changes. This business coach offers 3 powerful suggestions.